“Understanding the Impact Cratering Process: a Simple Approach” – Now, we added a submenu to this item comprising records with a high-speed camera of a true hypervelocity impact in the laboratory and some explanations. 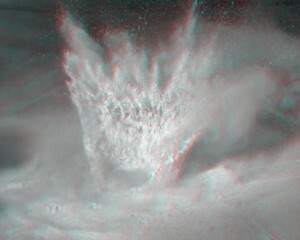 A video that shows the formation of an impact crater can be downloaded THERE. Results of more experiments will be posted soon.